« Corporate Street Photo Workshop @ Persistent Systems Pvt. Ltd.
A Primer course to understand the creative and technical aspects of Photography. # Generate interest in Photography and be creative with it. # Learn basic functions and to operate various modes in the camera. 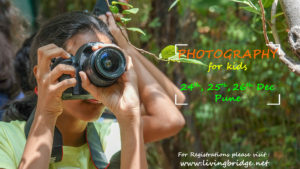 # Learn about People, Wildlife, Travel and Still life Photography. # How to find beauty and take beautiful photographs. # Learn how to take sharp images. # Practice the entire process – From Seeing the subject, photographing an Image to downloading it. # Learn ABC of the camera. What is inside and outside. Learning about camera LCD/ Lens / Sensor / View finder/ Flash / Batteries / Memory cards and more. # How to correctly hold your camera, to take sharp pictures. # Learn about seeing and composition. How to design a photograph. Rules of composition. What should we include in the frame and exclude from it. # Camera modes:Introduction to different camera modes like Portraits/Macro/Landscape/Night and other scene modes. # Functions and applications:Exploring all the camera modes and understanding their function and application. 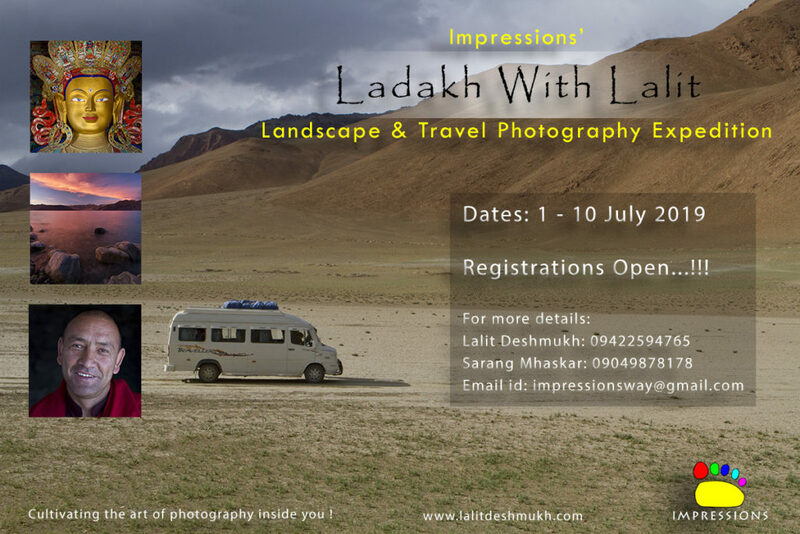 Lalit Deshmukh is a professional fine art photographer based in Pune, India. He is very passionate about nature, from where he draws much of his inspiration for photography. He enjoys capturing special moments in nature and invoking emotions via compositions and light. Lalit has spent more than 17 years exploring and photographing western United States. He has presented his work in various organizations in USA and India. He conducts various photography tours across India including wildlife, seascapes, mountain region like Kanha, Kokan and Ladakh. 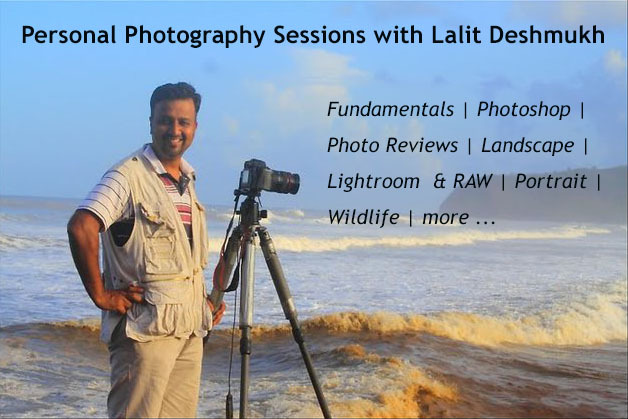 Lalit has photographed several projects with NGOs in the areas of health, education, environment as well as children and women issues. Brought up in India and graduated in Electronics from Pune, Lalit later completed his masters in computer science from Ohio, United States. He comes with 12 years of professional experience in the software industry as a Project Management Professional. He now stays in India and is fully committed to his passion of photography and social issues. Registrations are on first paid first served basis. Limited Seats Only!